Being a good host whenever you organize a party or a get-together session with your family and/or friends, you know that there are some essential items to get in order first – plenty of good food, some appropriate music playing in the background, clean toilets, and of course, some drinks to go along with the occasion. There is nothing quite like a good drink collection to choose from by your guests in order to loosen tongues among the adults, so why not introduce another element that might just do the trick in the form of the £4.99 Hunky Man Cocktail Stirrers? 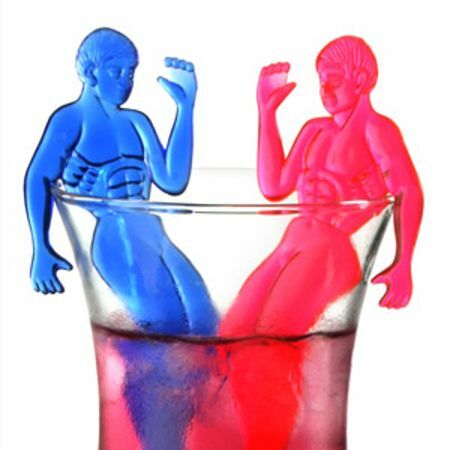 These unique stirrers will boast printed strapping muscles, a washboard stomach as well as dashing looks, making it the ideal tool in a drink that you would want to serve the girl whom you’ve always wanted to talk to, but never mustered the courage to do so.